Paintings on rock made by indigenous people many years ago give us insights into their daily life and the events and objects they valued. (I wrote about rock paintings here.) Monuments and memorials serve a similar purpose. So what do they show about what we value today? Traditionally monuments were erected to great men and generals who led us in war, and to those who fought and died. I grew up surrounded by this type of memorial. The statues of Confederate leaders that lined Monument Avenue in Richmond, Virginia left no doubt about what I was to think and feel about them. These were heroes, men to look up to, not only metaphorically but literally. Located in the middle of a street, often on a piece of ground so large that traffic had to circle around them, these statues appeared larger than life. 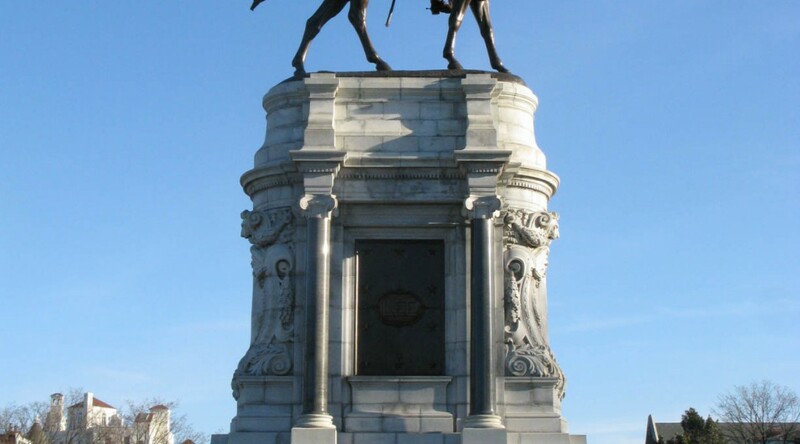 This statue on Richmond’s Monument Avenue depicts Robert E. Lee astride his horse Traveller. 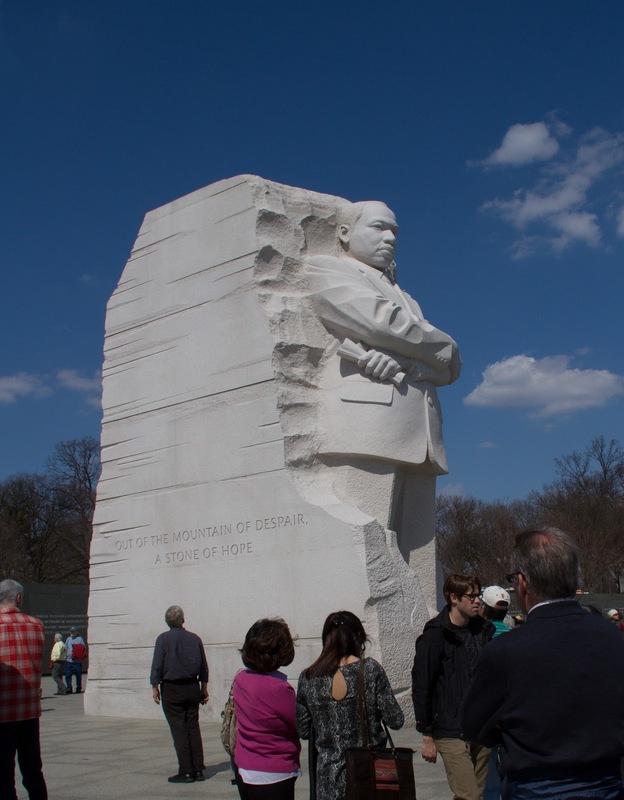 Some memorials constructed more recently send a similar message, and in this vein I include the Martin Luther King Memorial in Washington D.C. I visited it some five years ago and wrote about it in a piece titled Washington, the Monumental City. The centrepiece of the King Memorial is an full length statue of the man, carved by Chinese artisans from a block of blindingly white Chinese granite. At the time I questioned whether the choice of material was appropriate — to present a man whose career was so intimately linked to his skin colour as glitteringly white seemed a monumental error. But one thing was consistent with the statues of Confederate generals — to see the hero, a spectator had to look up. The monument to Martin Luther King is a whopping 30 foot tall. The memorial to Princess Diana in London’s Hyde Park is quite different. It isn’t a representation of the woman but a fountain that embodies her public persona. Water doesn’t shoot up into the sky above spectators but follows the natural slope of the land. 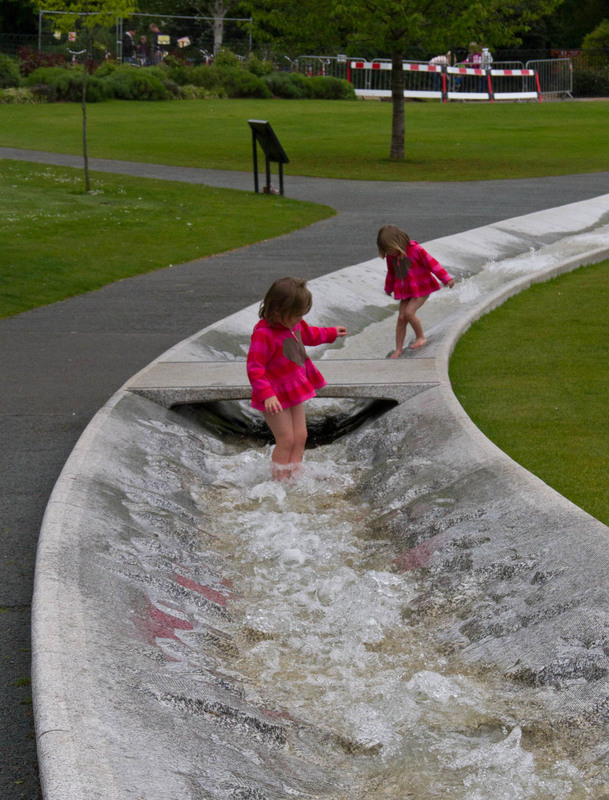 The stream is contained by a roughly circular wall, meant to express Diana’s inclusiveness and accessibility, and that wall is bridged at irregular intervals, allowing people to cross into the inner circle and interact with the water. 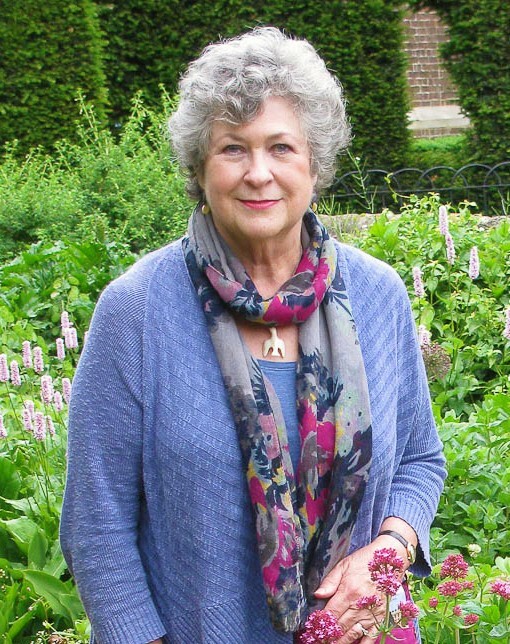 The fountain in Hyde Park was designed by the American landscape artist Kathryn Guftafson and inaugurated in 2004. Despite the controversy surrounding its design, cost and safety, the Princess Diana Fountain has proved to be very popular. Adults and children play in the water as it moves down the sloping ground , finally to come to rest in a pool that reflects the sky. A bridge allows people to cross onto the grassy circle at the centre of the fountain without getting their feet wet. The allusive approach used in the Diana fountain reflects a shift in the design of memorials. The movement today is away from figurative sculptures and traditional symbolism to a minimalist approach that suggests instead of telling. The shift reflects the diversity of viewpoints that characterize western societies today: eternal flames, crosses and laurel wreaths no longer resonate with the entire population in the same way. Maya Lin began the movement towards minimalism with her 1982 Vietnam War Memorial, a memorial that, in its non-didactic simplicity, is extraordinarily evocative of grief and loss. Memorials marking other tragedies have followed her lead. I have not visited two of the best known contemporary memorials, the 9/11 Memorial in New York City and the Holocaust Memorial in Berlin. I’m told by those who have that both successfully provide places for contemplation and remembrance. Both arouse emotions without dictating what those emotions should be. But neither memorial was built without controversy. Some claim that minimalist designs speak only of silence. Others say they speak of nothing at all. A common element remains, however: the inclusion of the names of those being remembered. How the names are arranged differs from place to place. Sometimes they are listed alphabetically, sometimes by rank, sometimes by date of birth, sometimes by where they were at the time of death. Names make a memorial specific to a particular time and place. More generally, words, whether carved in stone or written on plaques, provide information that will be essential in the future. Because memorials can lose their meaning, or their meaning can change. They may become controversial or irrelevant — statues of Confederate generals aren’t the only memorials being re-assessed. The statue commemorates both an individual and an event. Major Curt von François was the founder of Windhoek, capital of Namibia. 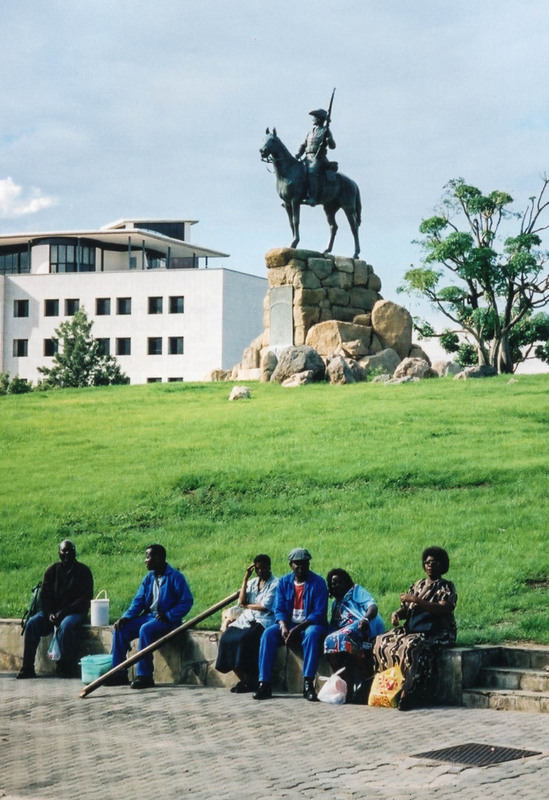 The plaque on the plinth explains that the statue memorializes white Namibians who were killed fighting black Namibians around 1900. Explanatory plaques don’t always remain. Statues of dictators and of men in former colonial cities once considered heroes are being taken down or looked at with new eyes. What does a memorial become once its plaque has vanished? The memorials that touch me most are those that are spontaneous — the flowers, cards and candles that individuals put in place to mark their personal grief. 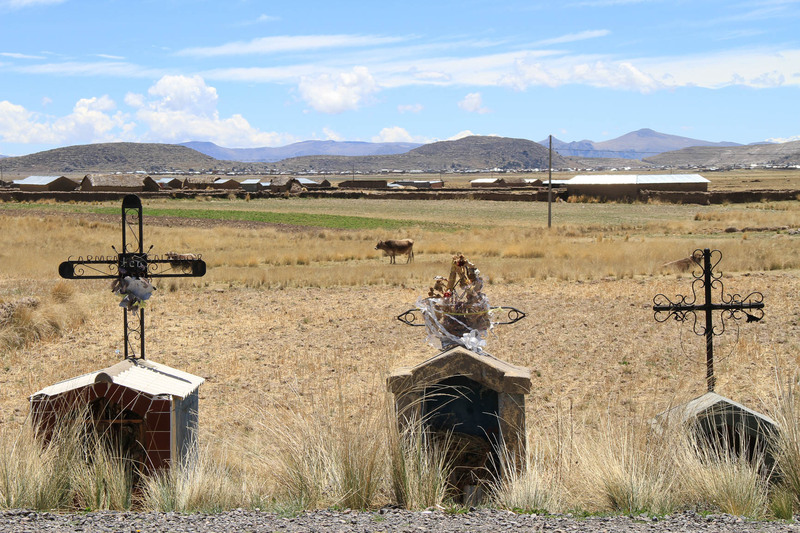 These roadside shrines in South America almost certainly mark the place where loved ones died in car accidents. The fact that most of these memorials are not permanent adds poignancy and reflects an inescapable reality: none of us lasts forever. Yes, and brings to mind some of the church cemeteries in Europe will only give you a ten year ticket in their cemetery due to limited space! Wow. That is news to me. Most of the famous cathedrals along Rhine and the Danube had limited space in their cemeteries we found so they gave you a ten year lease…..great money maker! Here is something else you haven’t heard either as this dear sweat lady in Petitmont France put flowers on my Uncle’s grave (crew) since he crashed there in the WWll on a weekly basis and this was also recognized the Veterans Affairs Canada for it! I like the Diana memorial. What and who gets memorialized always reflects who has power at a given point in time. I think it is entirely ok for the Confederate statues to be removed, just as they removed so many busts of Lenin in Eastern Europe after the Cold War. I agree with you on the Confederate statues. 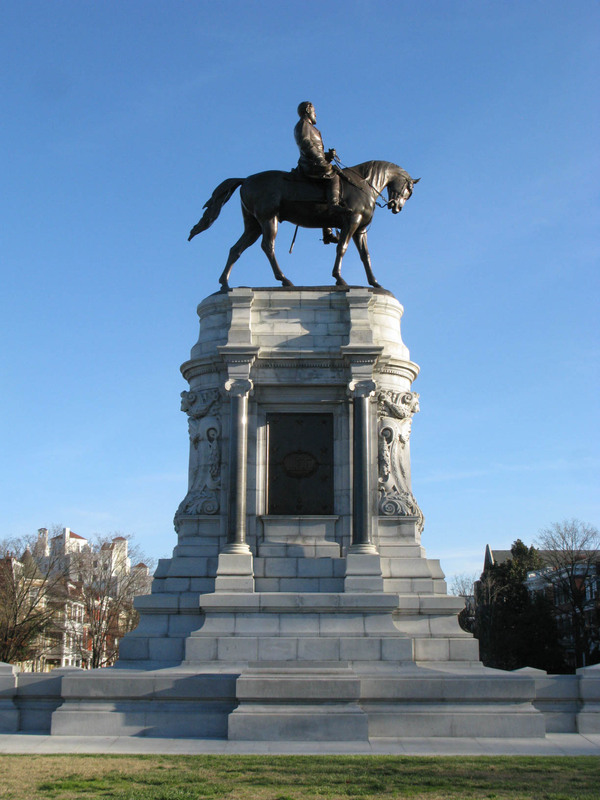 I don’t believe that imposing monuments like the one I pictured of Lee can be contextualized. Perhaps smaller and monumental statues can be but I think it is appropriate for them to be removed.